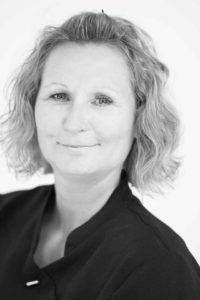 We’re very fortunate to have Anna Hargreaves, qualified Massage Therapist, offering her range of treatments here at The Hub. I undertook my nurses training at the Middlesex Hospital in London, qualifying as an RGN in 1989. I have since been lucky enough to enjoy a diverse range of jobs, including a children’s Head Injury Unit in Tadworth, Surrey, Orthopaedic Surgical Site Surveillance Nurse and Infection Control and Prevention, to name but a few. I ended my nursing career as a Clinical Site Manager at the Conquest Hospital to help nurse a relative at home. Life threw me a chance to rethink, change my career, retrain and follow a dream I’d had to work with massage. I felt I had moved a long way from hands-on helping people and really being able to care one to one. I wanted an holistic job where I felt I could make a difference to people. Massage has enabled me to to do this and run my own business. I really do enjoy my work and the diversity of people and problems that come to me. It is so gratifying when I am really able to make even a small difference to people’s movement, pain levels and improve wellbeing. I am a strong believer in the healing power of touch and the endless benefits of massage. Increasing blood supply, easing muscles open to release toxins that create soreness and stiff movement and general relaxation of body and mind in our busy world all brings great health benefits to all ages. I have worked from my studio in Winchelsea for several years and am now working at The Spa Hut at The Hub in Bodiam. This is a great enterprise with a cafe and a multitude of interesting events and other holistic therapies.